An Engine Rebuild is Half the Price (or Less) of Purchasing a New Engine. Is it Right for You? Do you have a beloved car that you’ve trusted for years and years, but engine problems are forcing you to consider buying another vehicle? 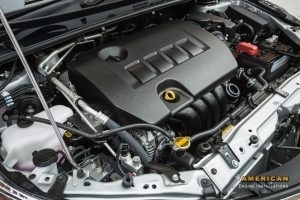 Many car owners are afraid of having their engine renewed, but getting an engine rebuild is often a small percentage of purchasing a new car. What if you could continue enjoying your wonderful ride for years? Take a close look at the rebuilding process any see if it could be right for you! So what is an engine rebuild anyway? When a vehicle’s engine begins to fail, most of the time it’s a case of isolated part failure. Replacing individual parts is rarely cost-effective, while purchasing a completely new engine is often prohibitively expensive. Thankfully, there’s a happy middle ground in between these two options. A rebuild is typically half the price of purchasing a new engine (or less); it involves having your engine disassembled, then replacing damaged pieces with refurbished parts. Having your engine remanufactured is one step above rebuilding. Worn parts are replaced with brand new ones, with older pieces being milled, resurfaced, or ground as needed. The cost of a remanufacture typically lies in the middle between total engine replacement and a rebuild. Here is a helpful article that further outlines the two options. What’s Right for My Vehicle? To answer this questions, you need to have a firm understanding of your vehicle’s current condition. That includes every part of your car, not just the engine. An engine rebuild is perfect for vehicles in great condition that are having isolated engine problems. The cost is cheaper than having your engine remanufactured, and much less expensive than having it replaced. However, there are some advantages to having your engine remanufactured instead. Engines restored this way typically have better warranty coverage. They are also likely to last longer, since new parts are utilized to replace damaged portions of your engine. You’ll need to compare the prices against your budget, consider your warranty options, and talk with an expert for specifics about how much each option can extend your engine’s lifetime. Come to Our Engine Rebuild Shop! If you’re interested in getting an engine rebuild for your vehicle, feel free to talk with one of our expert mechanics at American Engine Installations. Call our team anytime at (404) 289-9997 for questions regarding your engine! Posted in Uncategorized on August 1, 2018 by American Engine Installations.